This article explains basic preliminary tasks—cleaning and testing—that are part of every restoration. I do these jobs before I replace any parts, and usually before I try to power up an old radio or TV. 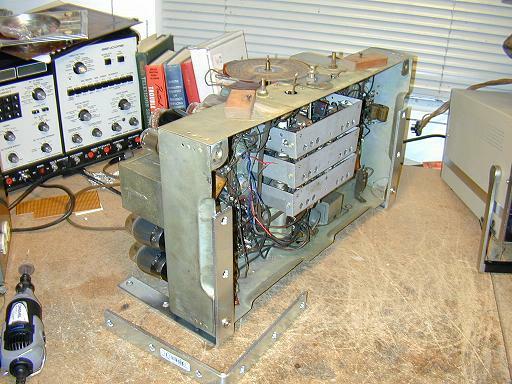 In my Restoration section, you'll find many articles about restoring specific radios and TVs. I also explain replacing capacitors, the major task in every restoration. Those jobs take place after the first steps described here. 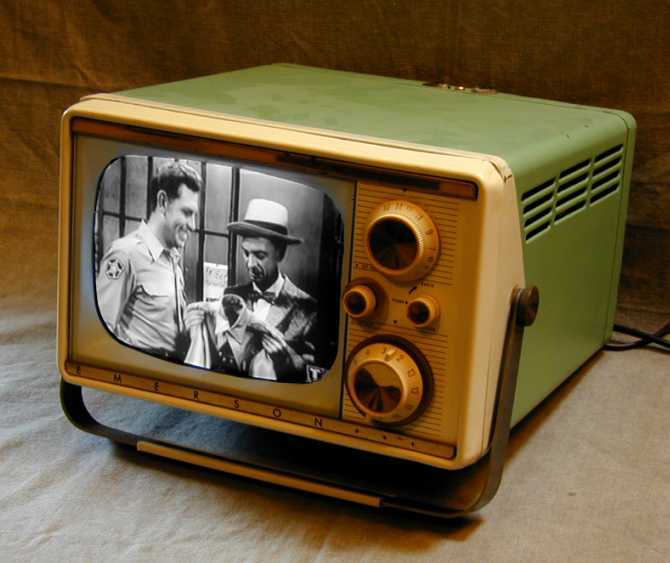 You should not power up an unrestored radio or TV before doing a basic checkup. That may destroy expensive parts or start a fire, and it won't tell you anything very useful. I strongly recommend that you get the schematic before attempting any work on your set. 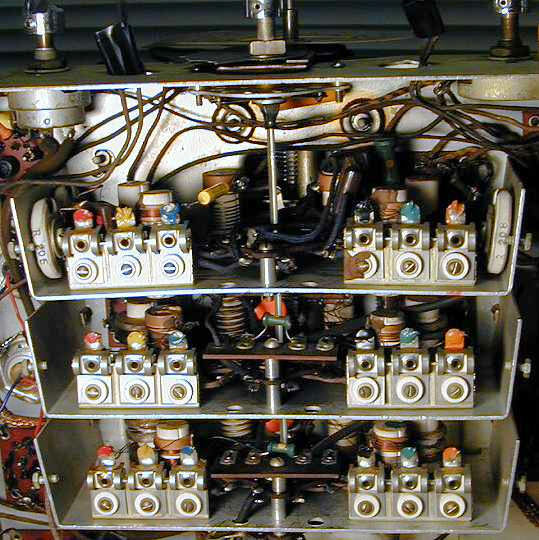 A repairman with decades of experience might be able to restore a radio or TV without a schematic, but not a beginner. 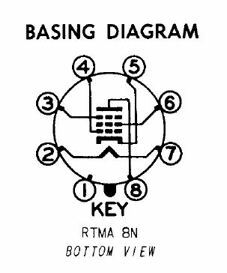 Although I have restored dozens of radios and TVs, I always obtain a schematic and refer to it regularly during the restoration. 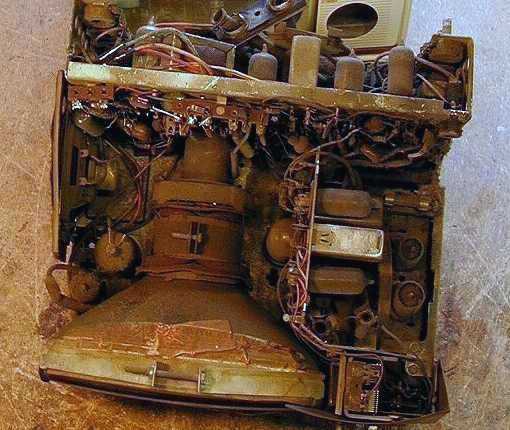 Most old radios and TVs require a little cleaning, and some need a lot. You don't need to make the chassis look brand new before you begin restoration, but you should at least remove enough grime to make a reasonable inspection. Many knobs simply pull off. 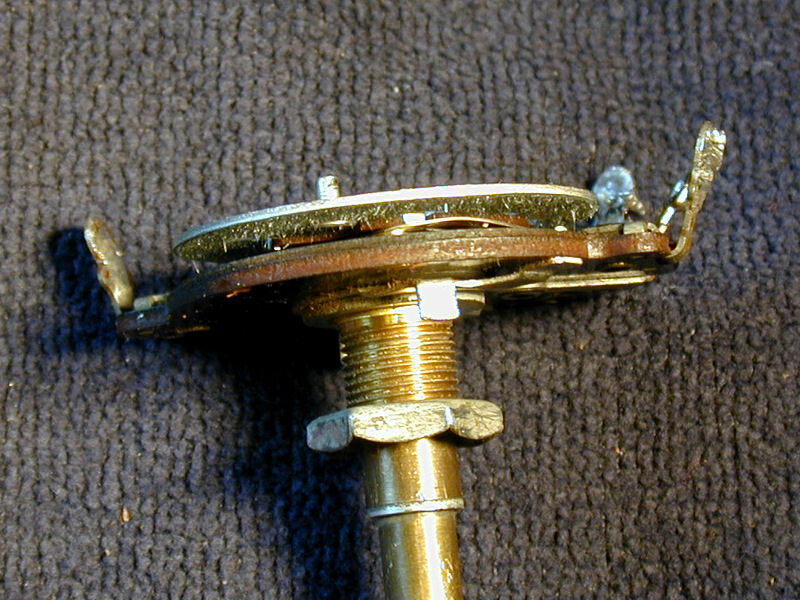 Others have setscrews that must be loosened before removing the knob. If a knob is stuck hard on the shaft, heat from a hair dryer may expand it enough to slip off. You can also protect the cabinet with thin cardboard (try a cereal box) and gently lever off the knob using a pair of thin blades, alternating from side to side. Another method is to loop a stiff cord around the shaft behind the knob and pull it outward, again alternating force from side to side. If rust is an issue, try soaking the shaft overnight with penetrating oil. Back covers are held on with little screws or T-shaped fasteners that slide out. 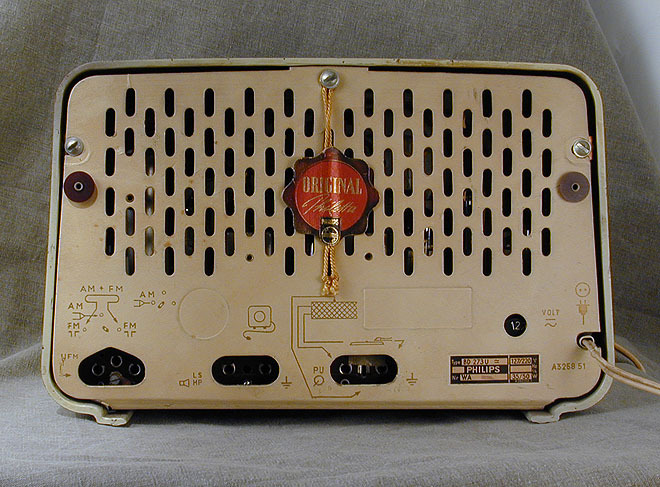 Some tabletop radios have a loop antenna mounted on the back cover or the rear of the chassis. The antenna is connected to the chassis with a couple of wires. Be careful not to break those wires. Depending on construction, it may be more convenient to remove the antenna first, or to leave it loosely connected and remove it along with the chassis. 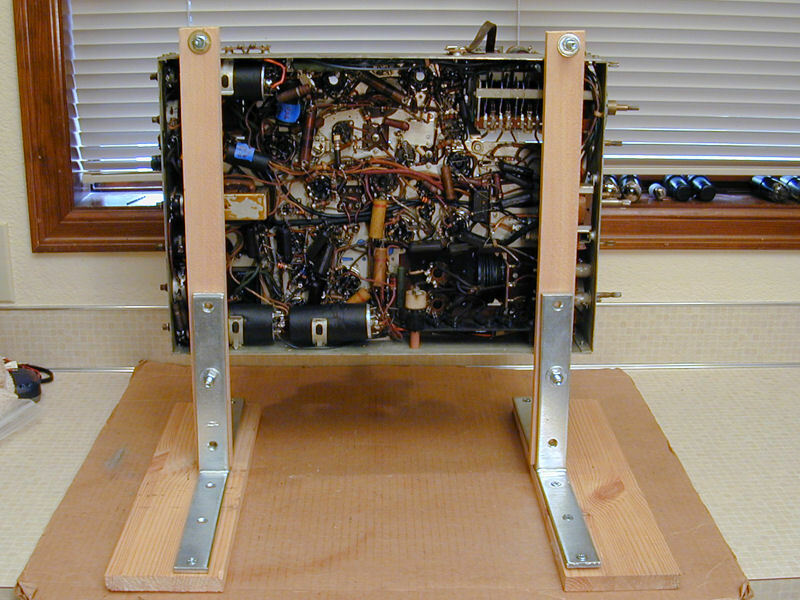 The speaker is usually mounted on the cabinet, or sometimes on the chassis. If it is mounted on the cabinet, look inside for wires connecting the speaker to the chassis. These wires will need to be unplugged or unsoldered if you want to leave the speaker attached to the cabinet. An alternative is to remove the screws holding the speaker to the cabinet and remove it with the chassis. The chassis is usually mounted in the cabinet with four bolts from underneath, or occasionally with a couple of bolts from the back. Remove the mounting bolts and slide the chassis out. Most will come out from the back, but a few will slide out from the front. After the chassis is out, I usually replace the knobs on their shafts and screw the mounting screws back into the holes where they came from, to avoid losing these parts. If you don't want to do this for some reason, put them in a ziploc bag and label the bag. Most sets are not this dirty, but this one had been used in a kitchen and it was coated with a layer of greasy dust. Although ugly to look at, this kind of gunk cleans up easily, and the grease actually protects against surface rust. I begin by brushing off dust with a soft brush and blowing it away, followed by a wipe-down with isopropyl alcohol ("rubbing alcohol") and paper towels. Alcohol is an excellent cleaner for electronics because it cuts grease and leaves no residue. Q-tip cotton swabs are handy for getting into corners. You can also use an old toothbrush or even a small folded square of non-scratch household cleaning pad held in a needle nose pliers or large tweezers. The high voltage compartment of a television deserves special attention, since dirt in there can lead to destructive arcing. In some TVs, the high-voltage rectifier tube is mounted on a little platform, which can be lifted up for cleaning. Again, alcohol works well for cleaning the entire compartment. At this early stage, my goal is to make the chassis presentable, not a mirror-bright museum piece. Some people spray a dirty chassis with a garden hose and then let it bake in the hot sun or a low oven. I don't advocate this method. Components such as coils, IF transformers, and tuning capacitors were not designed to be submerged in water. After I finish restoring the electronics, then I'll decide whether further cleaning is needed. A small chassis can often be laid sideways on your workbench to access the underside. If it doesn't stand securely on its own, a board or piece of styrofoam packing material may help steady it. 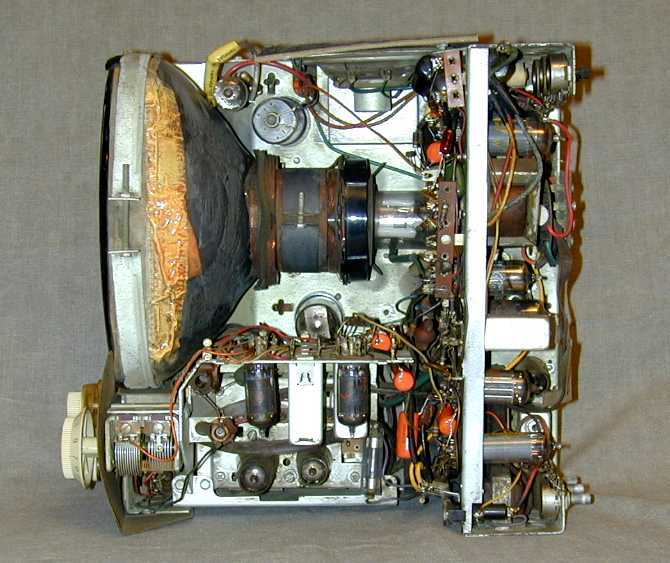 A large radio or television chassis may need more support. For very heavy chassis, I use stout "L" braces to form an inexpensive chassis holder. Although the internal condition of most electronic parts is hidden, you should look under the chassis for obvious problems, such as missing parts, disconnected wires, and burned or broken components. Cracked or broken power cords are very common. If your power cord has either problem, replace it before you try to power up the set. If a resistor or capacitor suffers catastrophic failure, then it may crack, break in half, or blow its end out. These obviously ruined parts must be replaced, of course. If a component looks OK on the outside, then it might or might not be good. Quick eyeballing can't identify parts that have failed internally, and most of the electronic restorer's time is spent replacing parts that look fine to the casual eye. Paper capacitors are a good example. It's common to see melted wax on them, primarily resulting from the heat of normal operation. The appearance of the wax tells you nothing about the capacitor's internal condition. It can look melted yet still be usable. Conversely, it might look perfect on the outside yet leak electronically and be useless. The leakage is caused by water vapor that invisibly penetrates the capacitor over time, damaging the interior. In a small number of old radios, the insulation on the wires under the chassis degrades over time and becomes brittle, falling off in pieces. If your radio has only one or two wires like this, it's easily cured by unsoldering one end of the wire and slipping new insulation over it. Replacing all of the wires in a set is an extreme measure, which I have never needed to do in the course of restoring several dozen vintage radios and TVs. If your set has suffered mass loss of insulation underneath, then reinsulating the wiring is necessary. But removing and replacing every wire is an invitation to make many wiring mistakes. Furthermore, in some circuits the original "lead dress," or precise routing and length of wires, may be critical. Rewiring your set willy-nilly may cause it to work poorly, even if you don't make any obvious connection errors. Every tube in your radio or TV should be removed for cleaning and testing. This elementary step should be done sooner rather than later. 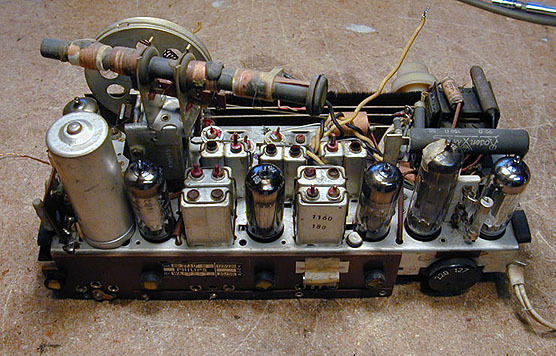 Playing a radio or TV with untested tubes is like finding a 50-year old car in a barn and trying to start it without checking the gas gauge. Novices sometimes replace every tube in an old set, but that's a foolish waste of money. Tubes are vacuum sealed and they don't deteriorate from merely sitting around. Most of the time, most of your tubes will still be usable, and replacing them with new ones won't improve performance at all. Clean and test one tube at a time to avoid mixing them up. At the same time, compare the tube's type to the diagram given in your schematic diagram or in the label pasted to the cabinet. Occasionally, you'll find that a previous owner mixed up two tubes or simply plugged a random tube into an empty socket to fill it up. After removing the tube, wipe off dust with a dry paper towel and write down its type number (45, 12AT7, 50C5, whatever). The markings on some tubes may be faint. Avoid harsh cleansers or too much scrubbing, which can erase all of the tube's marking. Don't worry about making the tube look brand new at this stage. If it's a dud, there's no point wasting time on it. If you have a tube tester, pop in the tube and check it out. 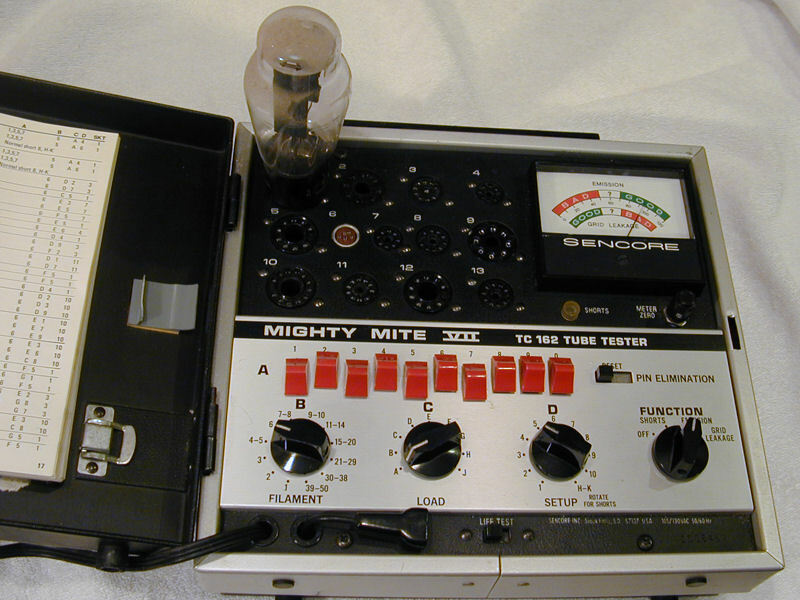 In this photo, I am testing a rectifier tube with my trusty Sencore "Mighty Mite" tester. If the tube is shorted or has no emission, then it needs replacement. If it tests as "weak," don't throw it out yet. In many cases, a so-called weak tube will work well enough to let you proceed with the restoration. TV picture tubes are a bit of a special case. If the tube immediately shows strong emission, then it's clearly good. In this photo, my Sencore CR70 tester gives the 10BP4 CRT a passing grade. If a picture tube looks weak at first, don't write it off. Often, a CRT that has been unused for a long time will initially show low emission but perk up after a while. Try leaving it on the tester for a few hours at normal or even slightly elevated filament voltage. As often as not, the tube will perform much better after a little "cooking." If you don't have a tube tester, you can still check the tube's filament (heater) for continuity using an ohmmeter. This allows you to weed out the obvious duds. A tube diagram will tell you which of the tube's pins connect internally to its filament. If you don't have the schematic giving this information, you can look up the tube online at Nostalgia Air or Frank's Tube Data. In schematics and tube diagrams, the tube pins are numbered clockwise as if you are looking at the tube from its bottom. 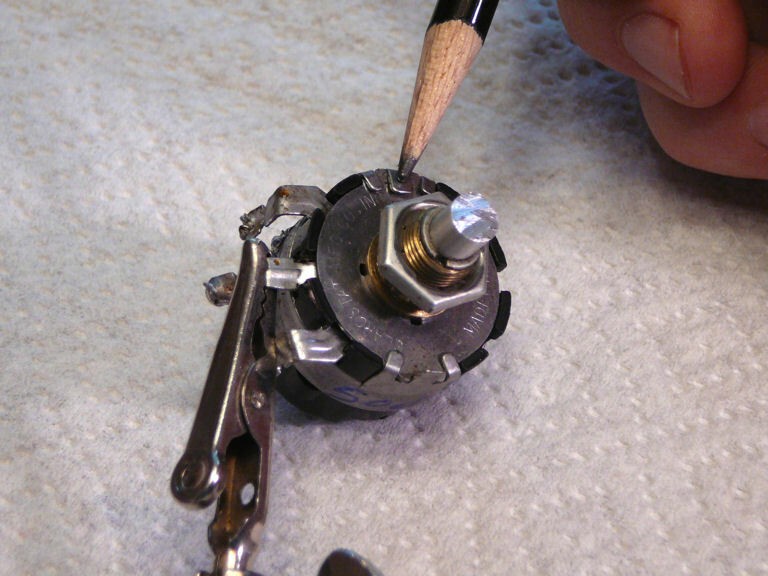 Numbering starts at the key (or gap between pins) in the tube's base. The filament usually appears at the bottom of the diagram and its symbol is a peaked chevron. In this diagram, the filament is connected between tube pins 2 and 7. To test the filament of a 6SK7, put your ohmmeter probes on pins 2 and 7 and note the result. If the meter shows continuity—usually a few ohms—then the filament is intact and the tube should at least light up when powered. This simple dead-or-alive test can't measure a tube's emission, of course. The tube could still be too weak for good performance, but it may be usable during restoration, and if you're lucky, it's as strong as a new one. If your tube passes the dud test, clean its pins. Use very fine sandpaper to remove corrosion from each pin and brighten it up. You don't need to go nuts with this; simply make it clean enough for good electrical contact. Now is also a good time to straighten any bent pins on all-glass miniature tubes. A needle nose plier works well. Sometimes, you can simply push the pin back into line with your finger. It's also prudent to clean the holes in the tube socket. Spritz a tiny amount of DeOxit electronic cleaner into the socket holes and then plug and unplug the tube several times. Remove the tube and wipe up excess cleaner with a paper towel. Blow out the socket holes with compressed air or a plastic straw. Electronic cleaners can be conductive when liquid, so make sure the cleaner has evaporated before you turn the set back on. 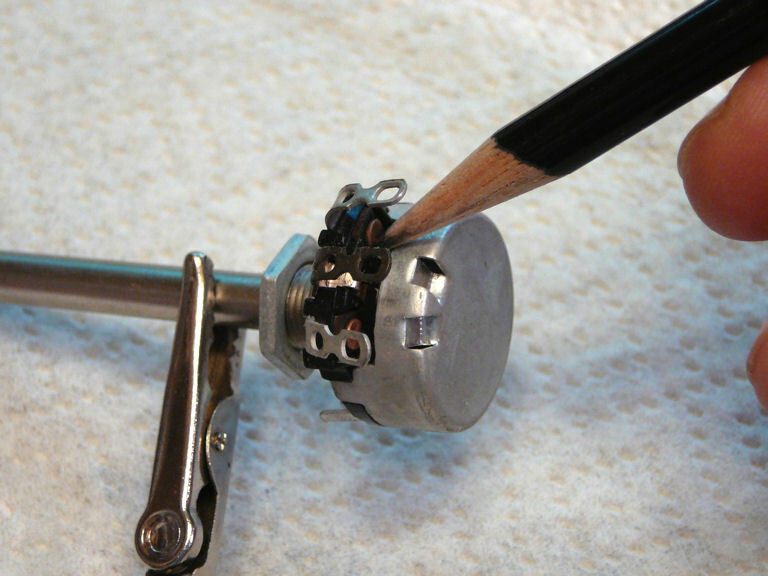 For a troublesome socket, I use DeOxit with a tiny stainless steel brush, available from CAIG Laboratories. Next, clean all the set's controls and switches using DeOxit or an equivalent electronic cleaner. These include volume controls, tone controls, band switches, and so on. 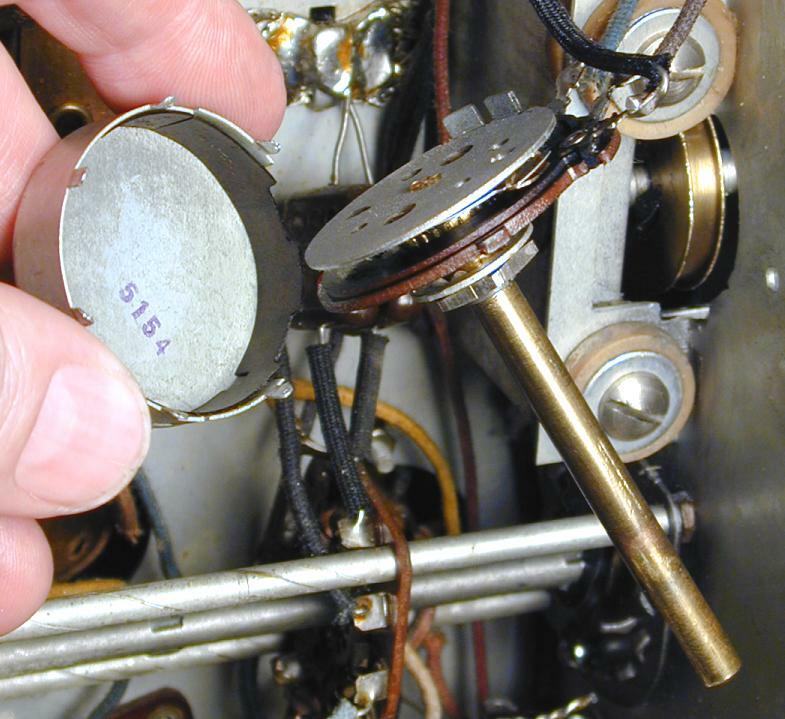 Cleaning eliminates common problems such as a scratchy sound when turning the volume control, or failure to receive on some bands of a multi-band radio due to oxidized band switch contacts. If your radio receives more than one band (for example, shortwave plus the standard broadcast band), cleaning the band switch is essential. It is common for grungy contacts to completely prevent reception on one or more bands. 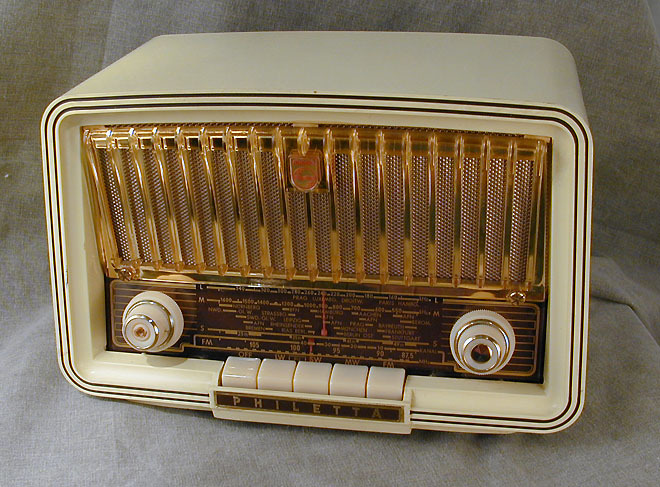 Often, the radio sat unused for years, during which time it was switched to one band. That band's switch contacts were somewhat protected, but the others were exposed to dirt and oxidation. Removing the grunge may instantly bring those silent bands back to life. 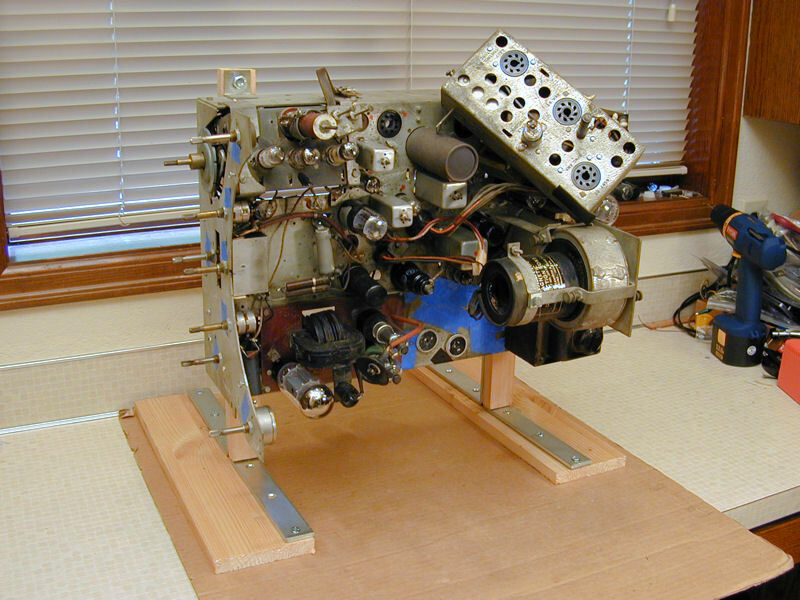 In this view, the front of the chassis faces upward and the knob would be mounted at the top. The band switch wafers are mounted on a long shaft that runs down through three compartments. Apply DeOxit sparingly to the contacts on each wafer and then switch the control through every band several times. Avoid spraying cleaner everywhere. It's a good idea to avoid soaking the phenolic wafers with too much cleaner. A better method is to apply DeOxit with a wetted Q-tip. However you apply it, clean up any excess and let everything dry before powering the set back up. Avoid rubbing switch contacts with anything abrasive. Some contacts are plated with an extremely thin layer of precious metal. If you scrape off that layer, the switch may work poorly or fail completely after a while. Beginners are sometimes tempted to polish a switch's contacts with a Dremel Moto-Tool or similar device so that everything looks shiny and brand new. This is unnecessary and it can be very destructive. You want the switch parts to make good electrical contact, not win a beauty contest. Save the power tools for polishing the chrome bumper on your car. Television tuners are another type of band switch and they also benefit from cleaning. 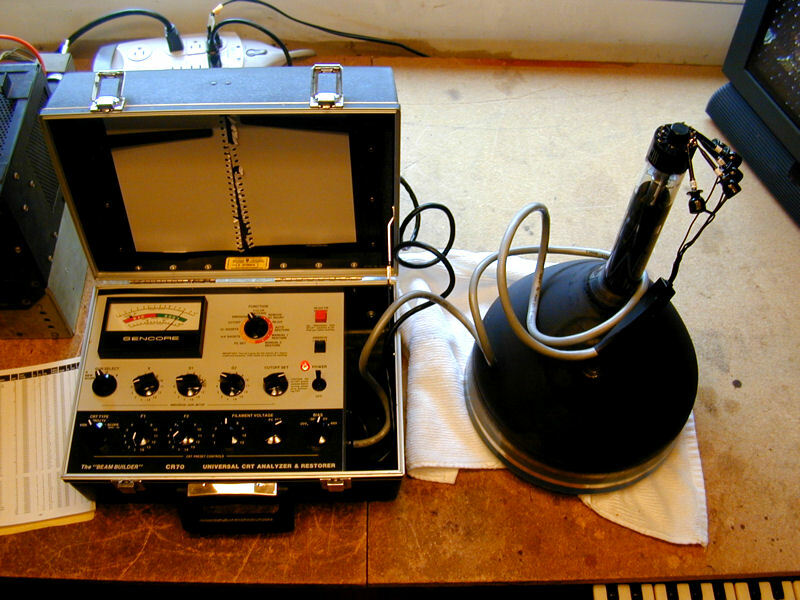 You can read about this more specialized topic in the articles about my RCA CTC-11H (wafer tuner) and Philco 49-1240 (turret tuner). Your volume control is a potentiometer (variable resistor). Inside the case is a metal wiper that moves along a curved resistive strip. Dirt on the wiper or strip can make the potentiometer work poorly. This new potentiometer had never been installed. 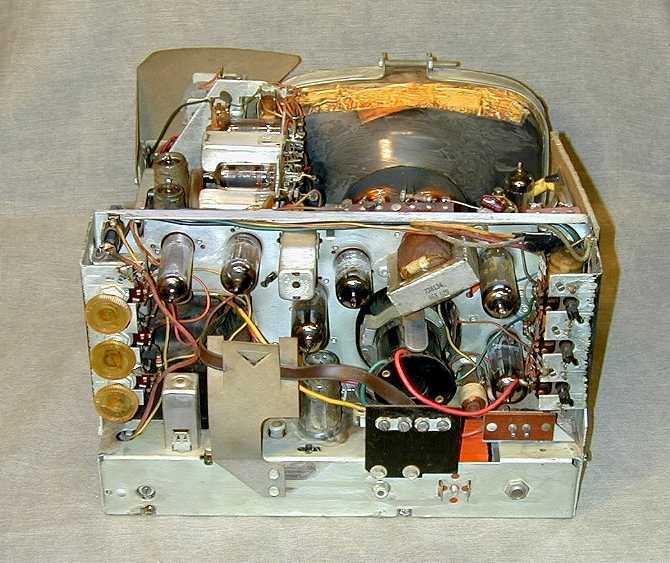 In your radio, of course, the shaft will be fastened to the chassis and wires will be soldered to the terminals. Often, the slot will be exposed and you can clean the pot without removing it from the chassis. In other cases, you can loosen the mounting nut and rotate the pot enough to reach the opening with the cleaner nozzle. Cleaning takes only a few seconds. Spritz a tiny amount of cleaner into the control and then rotate the pot all the way back and forth a number of times. Blot up excess cleaner with a paper towel and allow the cleaner to evaporate from inside the control before turning the set back on. Sometimes, the connecting wires have enough slack that you can clean this type of pot without unsoldering them. In the next photo, I have removed the case from the tone control in my Zenith 12-A-58, leaving it connected by its wires. Pay attention to the control mechanism's orientation in the case so that you can reassemble it the same way. A volume control will often have a power switch attached to its back. The next photo shows a control from my Stewart Warner 1865 console. The arrows point to the little pin and cam for the power switch. These must be correctly engaged when you reassemble the control. 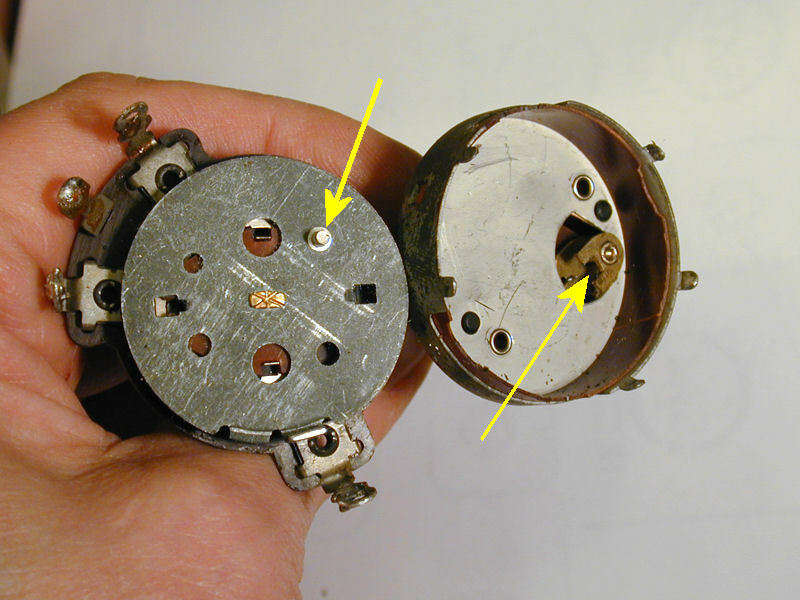 Inside every potentiometer, you'll find a metal wiper that travels around a resistive strip. Clean both parts with DeOxit and work the control back and forth. After reassembling it, bend the metal tabs back down. Occasionally, an old control grows "dendrites" internally or on its case. The next photo shows dendrites in the volume control of my Stewart Warner 1865. Dendrites are easy to clean off, and if you do a thorough job it may be years before they return, if ever. You can read more about them in my Stewart Warner 1865 article. Dendrites and "tin whiskers" can even form on the outside of a control, causing a short circuit to the chassis. Normal cleaning under the chassis usually clears them up. This is yet another reason to clean every chassis thoroughly! 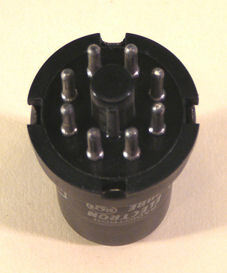 A third type of potentiometer, the "wirewound," contains a curved coil of resistive wire rather than a resistive strip. Most radios don't use this type, but you'll occasionally find one in a high-current application such as a television focus control. In a parts list or schematic, it will be designated as wirewound, sometimes abbreviated WW. This type of pot typically doesn't need cleaning—it either works or it doesn't—so you can ignore it for the time being. This section will be short because, in many restorations, I don't test anything except tubes before beginning to replace capacitors. Many components such as coils and transformers are so reliable that testing at this stage is premature. Paper and electrolytic capacitors fall in the opposite category. Those types are so unreliable that testing is also a waste of time. If 99.9% of them are defective, why test? This is not true of all capacitors, only certain types. My recapping article explains in detail how to identify the different kinds of caps and tell which ones to replace. Resistors fall somewhere in between. More reliable than the worst types of capacitors, they still can change value with age, usually drifting upward to a higher value. Often, however, the precise value of the resistor wasn't that critical in the first place, and so your radio or TV will work the same even if, say, a 39K resistor has drifted to 46K. My usual practice is to replace capacitors first and then see how well the set works. If it still has problems after recapping, and it will often have a few minor issues, those will be easier to identify and fix after I establish a baseline of performance. Occasionally, inspection will reveal a reason to test a particular part. For example, if I see a large amount of melted wax under a TV's flyback transformer, I will check the resistance of the transformer windings to rule out an obvious short or open circuit. My Parts page lists popular sources for capacitors, resistors, schematics, and restoration supplies. 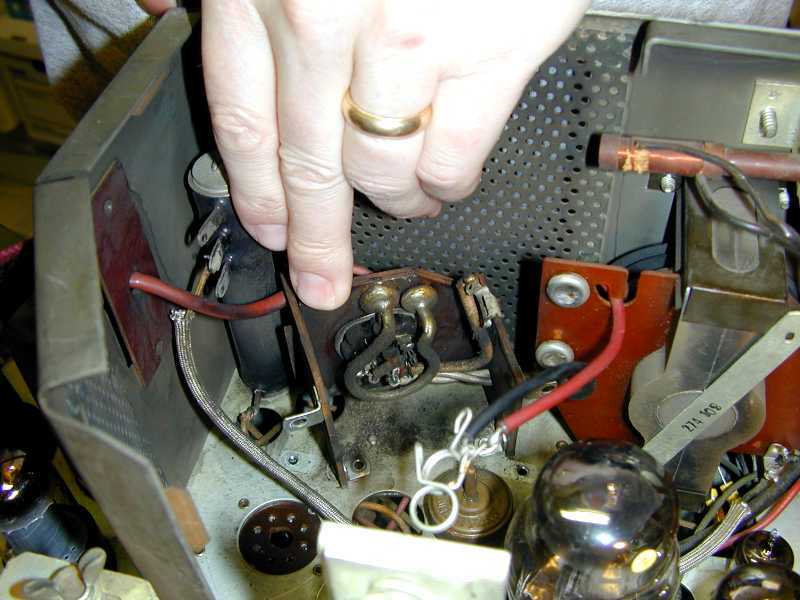 Serious restorers keep a stock of commonly-used capacitors and resistors on hand, so they can immediately start work after completing the initial cleanup and testing. I try to keep my shop well supplied, but it's a rare project when I don't end up ordering some doo-dad or another. You needn't be idle while waiting for parts to arrive in the mail. Now is an ideal time to work on your radio or TV's cosmetics. Clean those grubby knobs, polish that dial cover, refinish the cabinet if that's in the cards. As soon as you have the needed parts, you can replace capacitors. I always start with the electrolytic capacitors in the power supply, since the rest of the set can't possibly work if those are defective. Once the power supply is healthy, you can cautiously power up your set, using a metered variac if you have one, or a dim-bulb tester if you don't. After that, you're off to the races. Have fun!